Today I am excited to share a creation that was part of my swaps with other Demonstrators at the Onstage event in Paris recently. Instead of making 60 odd card fronts or 3D projects all the same I varied mine so I had around 10 each of 6 different designs. 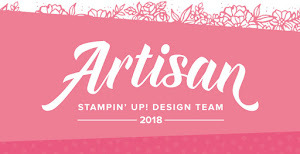 Over the next couple of weeks I'll be sharing more with you, including ones that I have made with the new Stampin' Up! 2016-2017 catalogue products ! 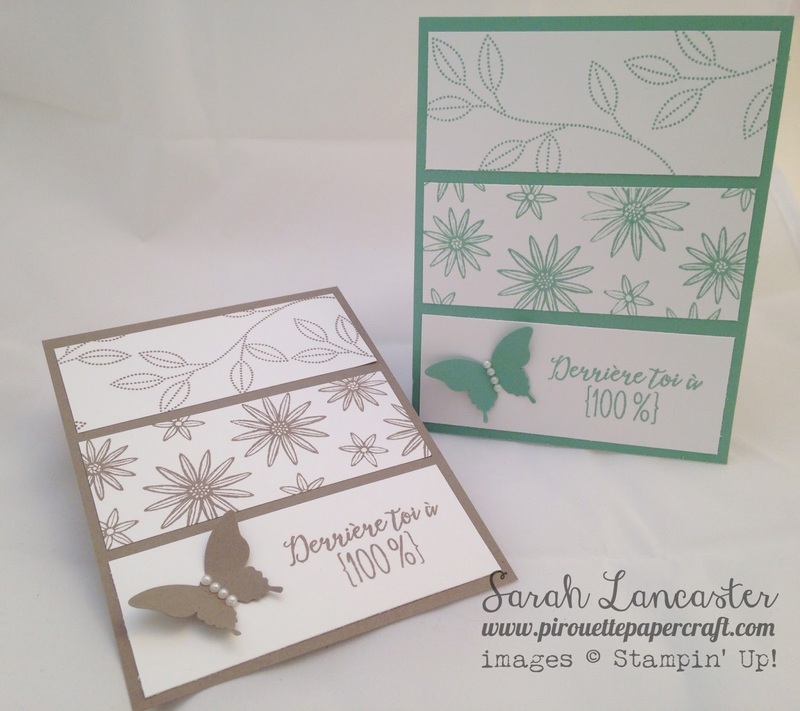 So today I have full video tutorial on how to make a card using one stamp set, one punch and one ink and card stock colour, so read on !! I really love this technique of letting the product do all the talking and it is also good for your pockets too. 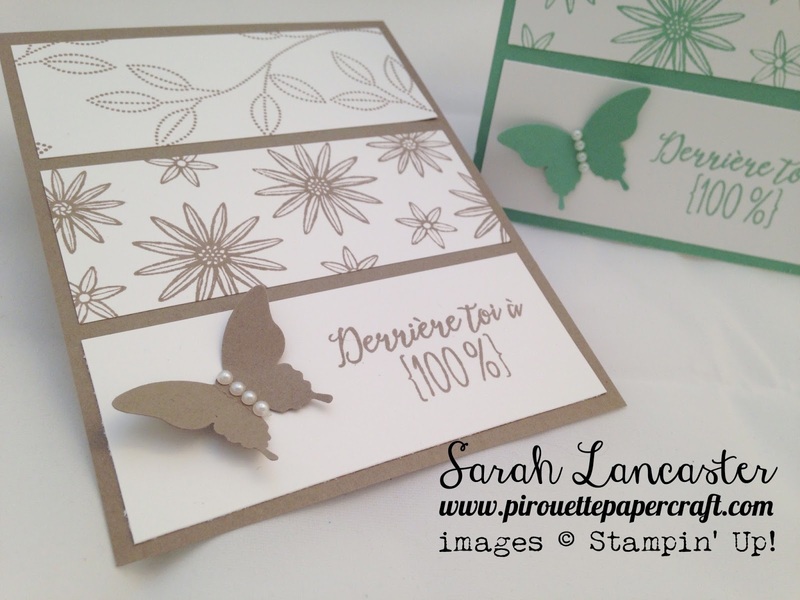 The set I am using in the video is the French version of a Grateful Bunch photopolymer stamp set - and this BUNDLE is only available until 31 May 2016. Whilst the 2 products of the stamp set and the punch will be carried into the new catalogue you WILL NOT be able to purchase them together for a 15% discount. And be warned - these bundles are selling out fast ! !